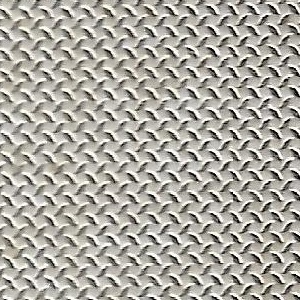 This small set provides a single 40 mm x 90 mm rectangle of 0.14 mm thick photoetched metal with a pattern of raised diamonds (see close-up photo below). I ordered this set from Hobbyterra, where it was listed as Mars Models 172002. The paper insert in the bag lists this as Different Scales 17002 (ex Mars Models). I believe this Mars Models has no connection to the Polish resin manufacturer, MarS.